World class athletes know how to master their mind and emotions. They have very strict rituals and visualize every move, every thought and every breathe clearly and vividly. Sports psychology includes mental toughness training - boosting physical and emotional resiliency, improving your mental edge, activating alert yet relaxed concentration. Maximize your potential by improving your mental edge. Practice better. Perform better. Compete better. Break through your limits! 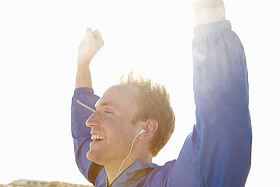 Whether you are a professional athlete or weekend warrior, you can improve your performance. In the heat of competition, successful athletes thrive in the midst of pain and pressure, push themselves beyond limits, and remain focused and confident. 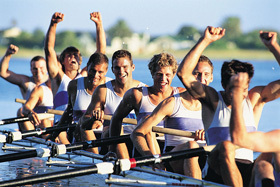 Learn powerful mental skills of elite athletes. Guided imagery, self-hypnosis, emotional regulation techniques, mental rehearsal, and positive self-talk. These are the skills that help the best athletes achieve victory. "Michael Phelps mentally prepares by looking at various scenarios, both good and bad. He doesn’t limit himself to focusing on the positive. He recognizes things can go wrong and trains himself to respond effectively to every situation. In spite of what’s going on he maintains confidence that he’ll respond appropriately." Excerpt from the book, the Power of Habit. Your success is determined by how you play your inner game - your self-talk, what you imagine and your mindset. Are you mentally tough and resilient? Or do you lose focus and become anxious and distracted? Self-doubt interferes with your performance. You feel like you've hit a self-imposed wall that you can't break through. You've lost the joy of competing. You struggle to stay motivated or disciplined. If you answered yes to any of these questions, Kiomi can help you overcome those challenges by teaching you powerful, proven strategies to help you improve your performance consistently with refined skill and time-tested results. visit the new Peak Performance website MasterMind Coach. After many years of sports competition and reaching a level of physical and technical proficiency I felt I was lacking 'mental toughness' that prevented me from advancing further. After years of tournament play I still suffered from nerves, fear of losing and lack of confidence. My body 'knew' what to do, but my head kept getting in the way. So I decided to try Kiomi. I'm so glad I did. The guidance and the audio material are tailor made specifically for my situation. Each session produced positive results. I continue to go back on an as needed basis for positive reinforcement. If you are thinking of seeking help for any issue I highly recommend Kiomi.